Jilly Puppets has been thrilled to work in various home-based day cares throughout Westchester, NY! Jilly Puppets Early Learning Puppet Academy: Jilly comes in once a week or every other week, bringing puppets, fantastic world music, instruments , foods, and thematic curriculum. Kids jump with joy when she enters the room and the festivities begin! Jilly Puppets World Music and Dance: Take a trip around the world with Jilly. Learn languages, cultural practices, songs and dances from all over the world. Ex: Brazil, Middle East (Egypt/Israel/Morocco etc. ), United States, Africa, India, etc. 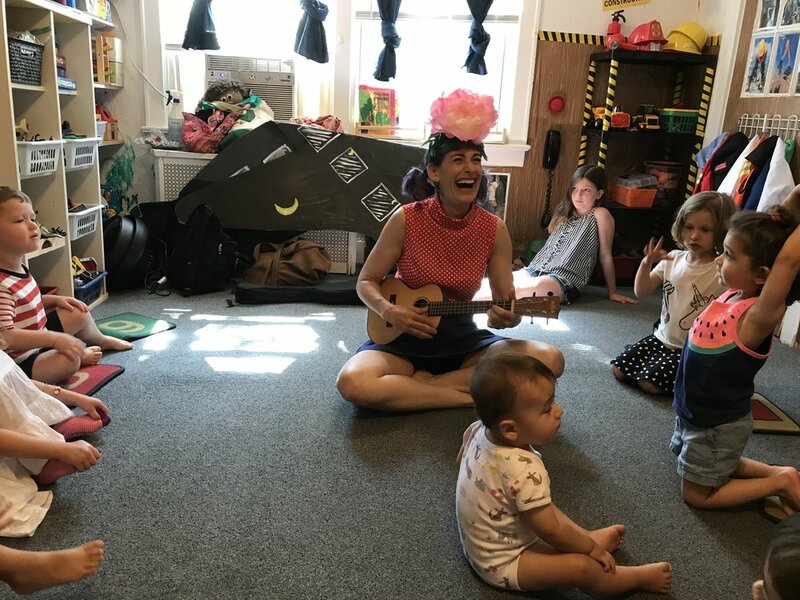 Jilly designs and performs wonderful early childhood programs for synagogues and nursery schools: A blend of Jewish holidays, Hebrew letters, Jewish songs and culture, Torah stories, and musical exploration! Jilly will work with you to create the program that will best excite and delight your students!